Arrival of new stock and I've been busy clearing backlog. Here are 2 different designs. Both embellished with swarovski crystals. 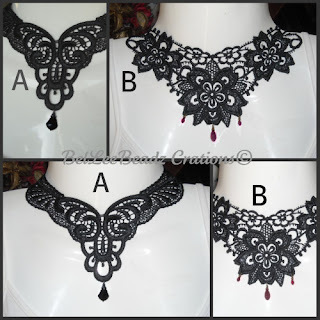 "A" has a jet black centerpiece whilst "B" has garnet tone briolettes.